This post brought to you by Duck Brand. All opinions are 100% mine. If you have been following Close to Home for a while you have seen how I have used Duck Tape for the holidays. I especially love my Halloween decorations using Duck Tape®. 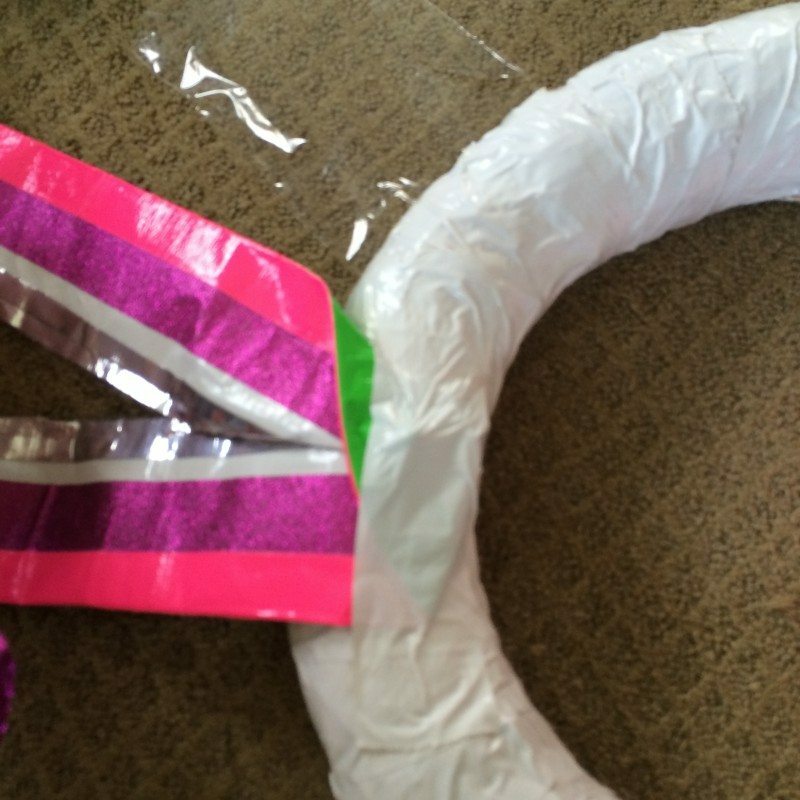 Easter is no exception for the creative bug to come out and make a festive Duck Tape® Easter Wreath. My Daughter and her friend joined me to creative this Easter Craft. 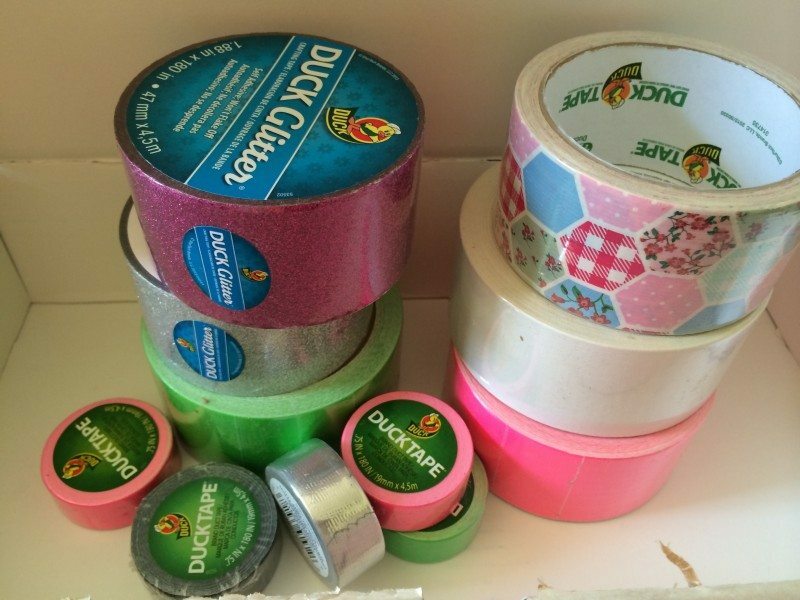 This Spring, Duck Tape® has come out with some new colors, including these fun glitter ones. We did find that the glitter variety was not as sticky as the original tape. Actually the center ribbon and a few eggs peeled that we used the glitter variety peeled off. 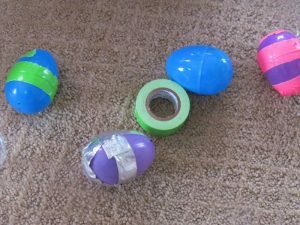 Plastic Easter eggs (50 depending on wreath form size) We used $1 store ones. 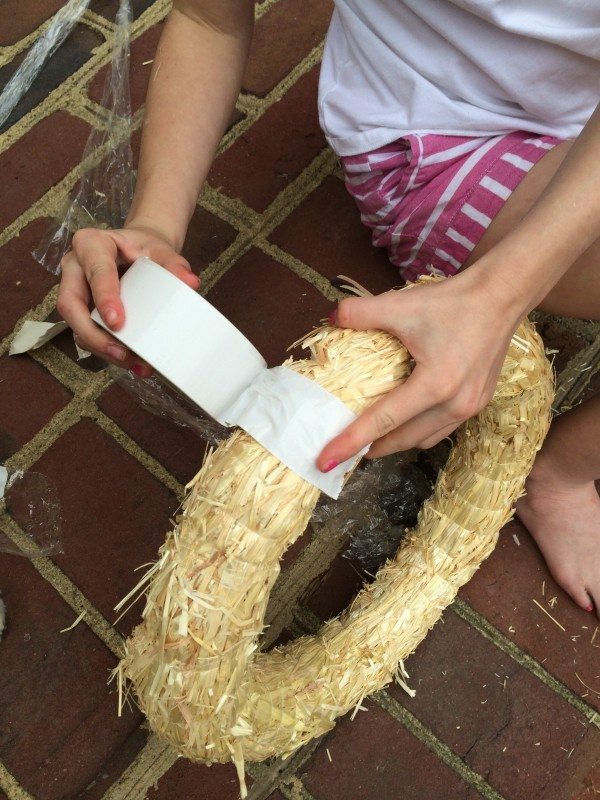 To make this Duck Tape® Easter Wreath you will first need to wrap the straw wreath form with duck tape. You can see how you do this on a ribbon wreath. 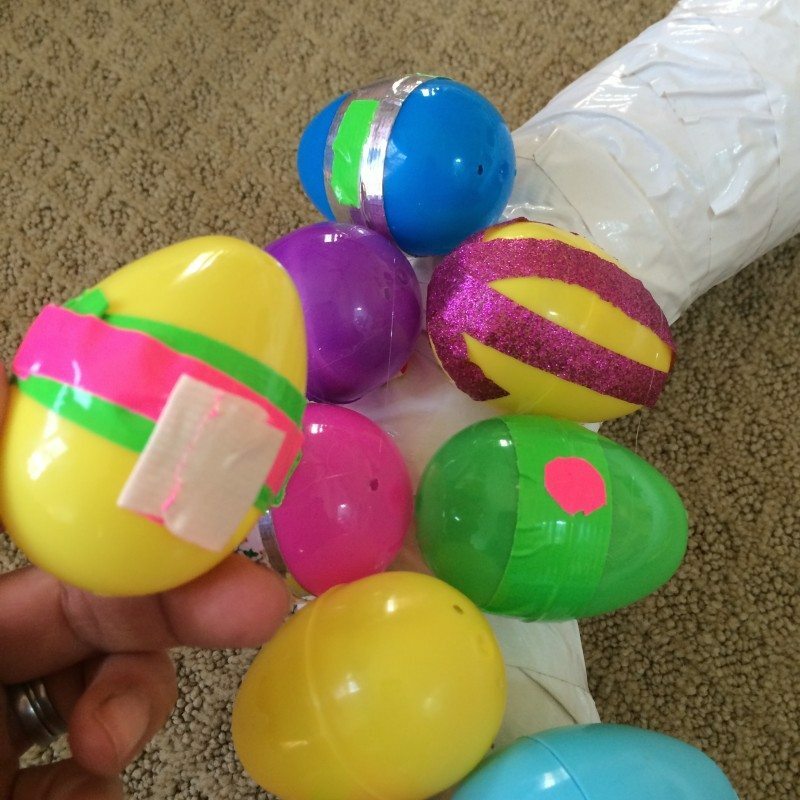 Using the thin duck tape make different designs on the eggs. You can make strips, cut out squares whatever your creativity takes you. We also kept some plastic eggs unaltered. Next make you your Duck Tape® ribbon. 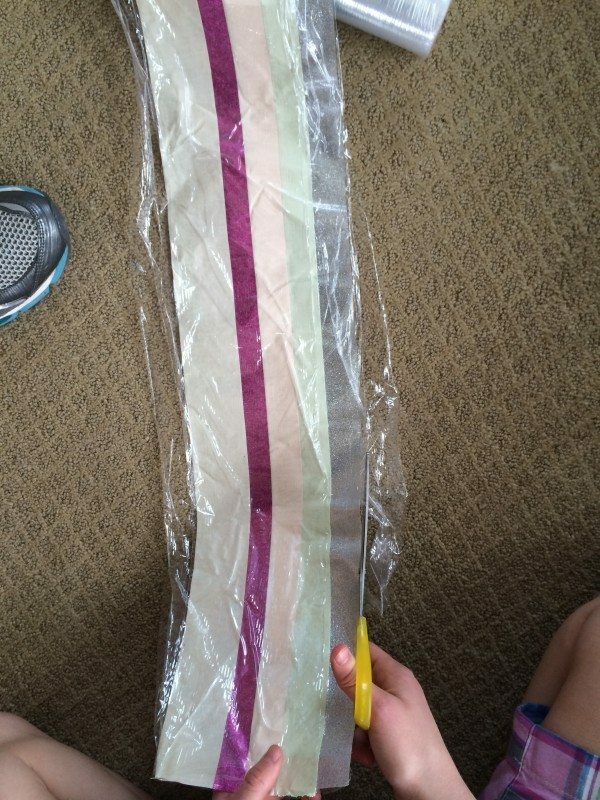 My daughter’s friend combined many different colors and adhered the strips to plastic wrap for easier handling. 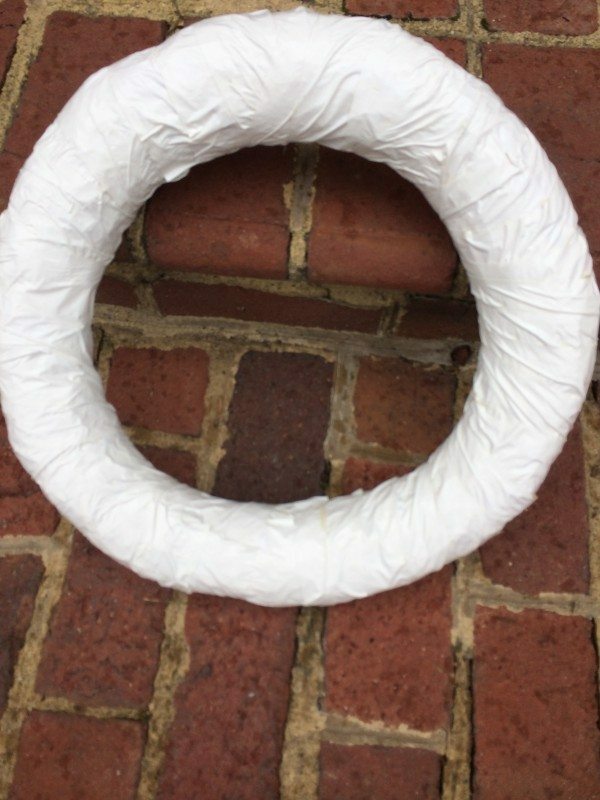 Twist it onto the bottom of the wreath and use duck tape to secure. Also add a string around the wreath for a hanger. 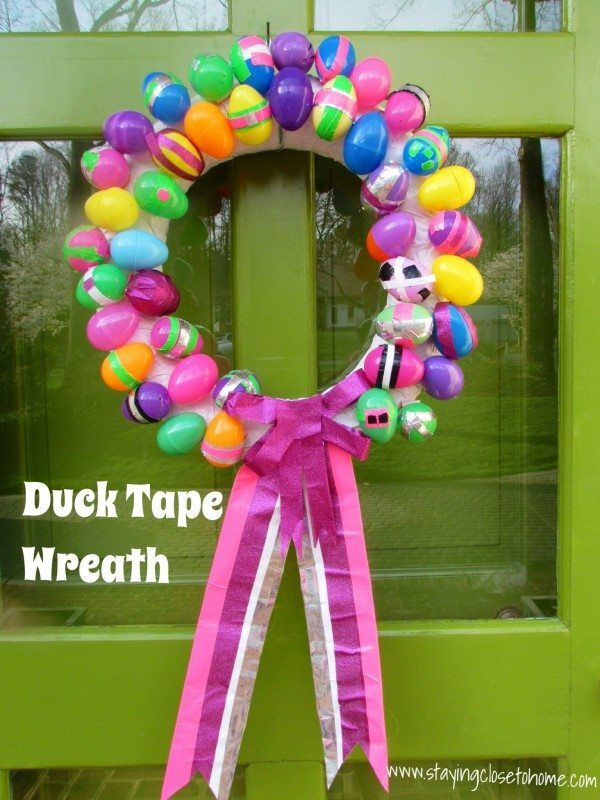 Hang this Duck Tape Easter wreath tutorial on your door and enjoy. 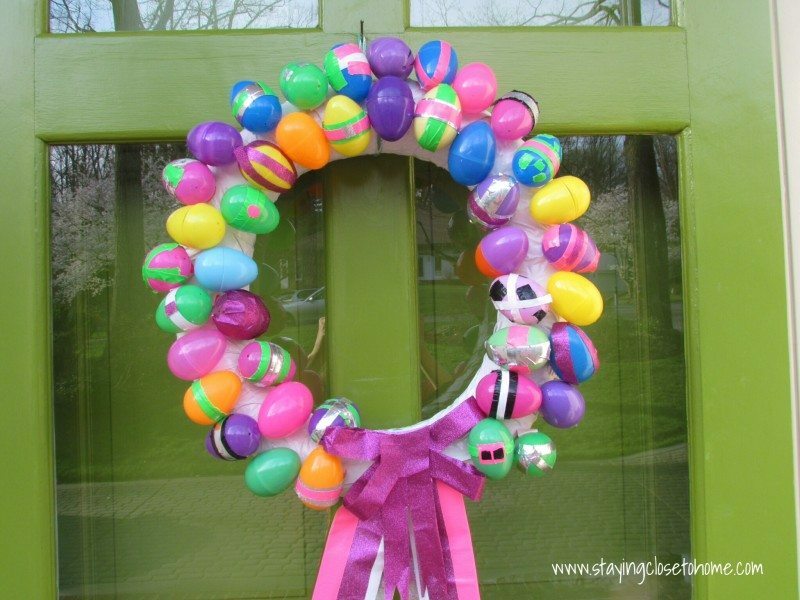 A great waterproof Easter Wreath that can be customized with all the different colors available from Duck Tape® Brand. What Spring Projects do you think you will make using Duck Tape®? Fun and something the children can help with so it’s a winning idea for our family. That’s really cute! People are doing such creative things with Duck Tape. This tape tape wreath is beautiful. I really like this, will try in the near future. How cute!!! I’ll have to see if my son wants to make one of these…well, if he has any leftovers after making the wallets and his backpack!! :p Pinned & Tweeted this one!